Ok, I admit I'm dating myself with this one but remember Jordy's baby song? I was taking french at the time and my teacher loved playing this. Cheryl's baby girl would surely agree with this sentiment. 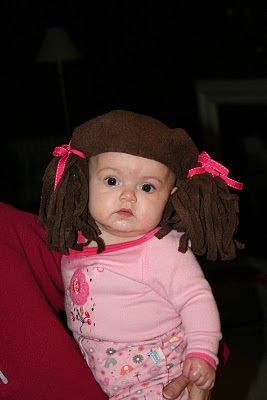 Check it out - her mom made her a wee baby dreadlock hat! My high school french teacher played it for us too! lol. Good times.